Our oak door lining sets which are ideal for accompanying your new ledger and braced oak doors. Each door lining set includes 2 x 2.1m legs and 1 x 1.05m head and comes complete with loose stop lats so that you can set your own rebate depth. The door linings are 22mm thick. The Stop lats come in s 14 x 32mm section. 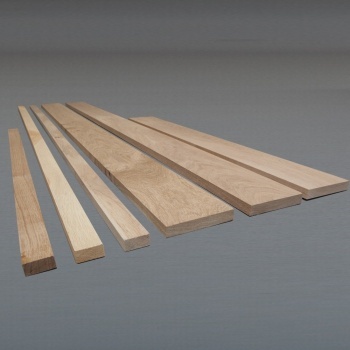 Available in 3 widths, 108mm, 132mm and 150mm, but we can do special orders if required. 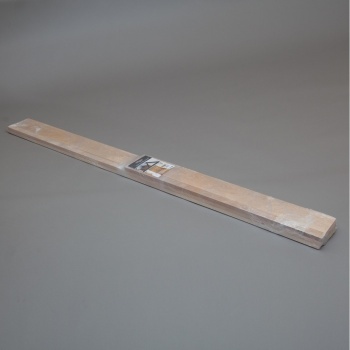 132mm linings are generally used on stud walls made with 4"/100mm studwork. We manufactured these linings from a high grade of solid oak. Each kit come's packaged with installation instructions.